We are one of the world’s foremost industrial groups in the specialty chemical segment. 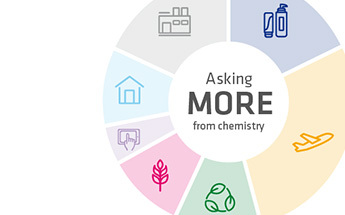 We are committed to developing the role of chemistry in introducing sustainable solutions that will help resolve challenges faced by the planet and society. Our vision consists in creating “more future” – a future with more potential, for ourselves, our children, our planet, and its people. It is chemistry that will shape this future by making the impossible possible. Our pioneering spirit is inherited from our founder, Ernest Solvay. We are just as determined today as he was 150 years ago to dedicating our expertise in chemistry to acting responsibly and furthering our desire to make the world a better place. 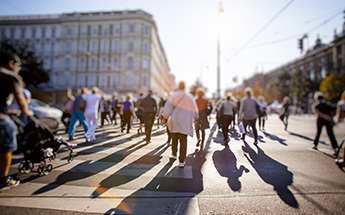 People are at the heart of our vision. We are a company of people, and we strive to give them a better future by helping them develop, honing their skills, and recognizing their talents. Their mindset – characterized by agility, collaboration, curiosity, and courage – guarantees our success and performance; it is the vital resource that drives us to achieve more innovative sustainable solutions with less depletion of natural reserves and less waste. Our progress has always been all about continuously reinventing what we do and how we do it. The courage to transform ourselves is a fundamental building block of our success. Our Group can look back on a scientific and entrepreneurial heritage. 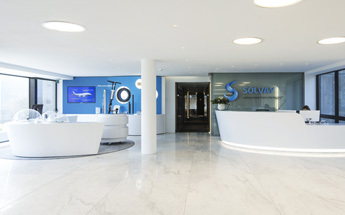 Solvay is the fruit of the resolution and determination of a young self-taught visionary surrounded by a small network of associates. Passionate about science, Ernest Solvay patented a process for producing soda ash in 1863 and set up a company to manufacture it.